Choosing Smoke Detectors for Your Home - Hegarty-Haynes Insurance, Inc.Hegarty-Haynes Insurance, Inc. Choosing Smoke Detectors for Your Home - Hegarty-Haynes Insurance, Inc.
It’s hard to overstate the importance of having working smoke detectors in your home. They provide an early warning of fire and, by law, are required in every dwelling. They are also a requirement of most home insurance policies. In 2009-2013, however, two out of five (38%) home fire deaths resulted from fires in which no smoke alarms were present at all.” [Source: NFPA] And, in even more instances, when the alarms weren’t working. Here is some information to ensure working smoke detectors are present in your home. Ionization Smoke Detectors are designed to recognize fast-burning, flaming fires much faster than other types of smoke alarms. They’re equipped with a small amount of radioactive material between two electrically charged plates that ionizes the air. When smoke passes through the device, it disrupts the flow of ions, activating the alarm. Photoelectric Smoke Detectors are better at detecting smoldering fires (those that produce a lot of smoke). These alarms aim a light source into a sensing chamber at an angle away from the sensor. When smoke enters the chamber, light is reflected onto the sensor, triggering an alarm. Dual-sensor Smoke Detectors are also available. 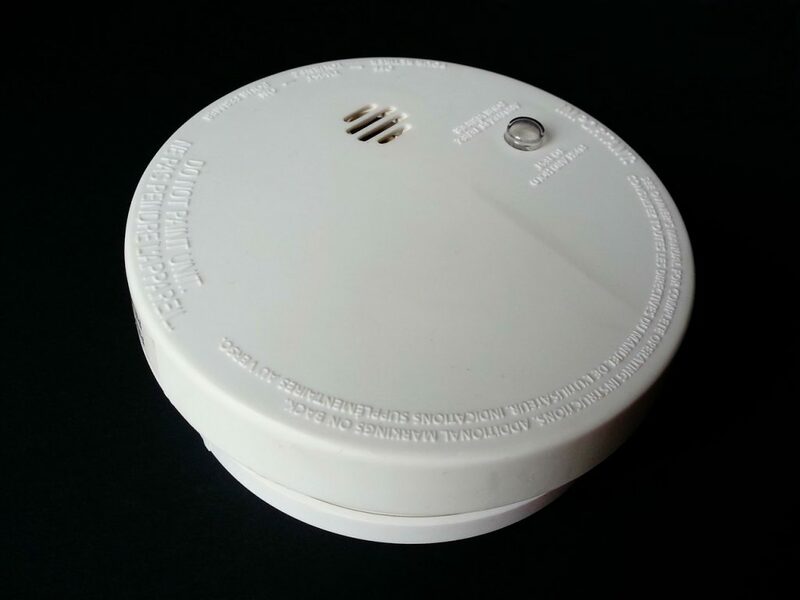 These smoke alarms are the preferred choice by fire service professionals because they utilize both ionization and photoelectric sensors, so it can detect both fast-burning, and smoldering fires. They typically only cost a few dollars more than single-sensor smoke alarms. The U.S. Fire Administration recommends installing a smoke alarm on every level of your home, in every bedroom, and outside every sleeping area. If you have a basement or attic, install one there too. On levels without bedrooms, install smoke alarms in your main living areas, and near the stairway leading to the next level. You can never have too many smoke alarms! Mount alarms high on walls and/or ceilings. Wall-mounted alarms should be installed no more than 12-inches away from the ceiling. If installing a smoke alarm near the kitchen, it should be mounted at 10 feet away from cooking appliances, minimizing false alarms when cooking. Installing a combination of battery-operated and hardwired ionization and photoelectric or dual-sensor smoke alarms ensures your home is fully protected. However, it’s also important to ensure your home’s alarms are maintained according to manufacturer’s recommendations. Test monthly, regardless if it’s battery-operated or hardwired. Replace batteries once per year if battery-operated. If hardwired, replace the unit once every 10 years. Replace sooner if the alarm’s warning signal goes off or according to manufacturer recommendations. This entry was posted in homeowners insurance, Tenants Insurance. Bookmark the permalink.